The “F.A.B.” Winter Dance Showcase, says Professor of Dance Carol Dilley, “gives audiences a rare chance to see a variety of dance styles, but it’s also an opportunity for the artists to network. Bates students will present two of the 14 performances by dance artists from around Maine — as well as New York, New Jersey and Massachusetts — in the 11th F.A.B. Winter Dance Showcase, co-sponsored by Bates College and the Franco Center, and taking place downtown at the Franco Center at 7:30 p.m. Saturday, Feb. 6. A Bates senior from New York City, Mary Anne Bodnar will perform her piece “Sparkle.” A Bates sophomore from Middleton, Mass., Jorge Piccole will perform a hip hop solo. Claire Porter and Sara Juli perform “Small Stories,” which they premiered at the American Dance Festival last summer. Porter, of New Jersey, is a 2013 Guggenheim Fellow who has presented her piece “PORTABLES” extensively. A dancer and professional fundraiser, Juli, of Portland, Maine, teaches at the Bates Dance Festival and has been a resident artist at Bates. Dancers from the Community Dance Project Ensemble of Saco, a nonprofit dedicated to the infusion of dance in the Maine public school system and directed by Emma Arenstam Campbell ’08. Melinda Buckwalter, Kristen Stake and Jacob DeRaadt present “Last Chance to Get It Right.” Buckwalter is a dance writer and movement researcher who resides in Western Massachusetts and is a visiting lecturer in dance at Bates. Based in Portland, Stake is a dance artist and poet, and teaches contact improvisation. DeRaadt, also of Portland, is a sound artist who works with field recordings, tape manipulation, amplified metal and the human voice. Alexandra James of Portland works with the nonprofit Swift Urban Movement Project to teach a healthy, active, and social lifestyle through dance. Collective Motion, a Southern Maine-based modern dance company, was established in 2006 by Artistic Director Jennifer Bourgeault. Molly Gawler, of Monroe, Maine, is known as both a scion of Maine’s folksinging Gawler Family and a member of the renowned Pilobolus Dance Company, with which she toured internationally in a leading role in Shadowland. Dancers from the Portland School of Ballet CORPS Program, created in 1994 by Portland Ballet as an innovative partnership with Portland High School, resulting in a preprofessional performing arts high school curriculum unique in Maine. 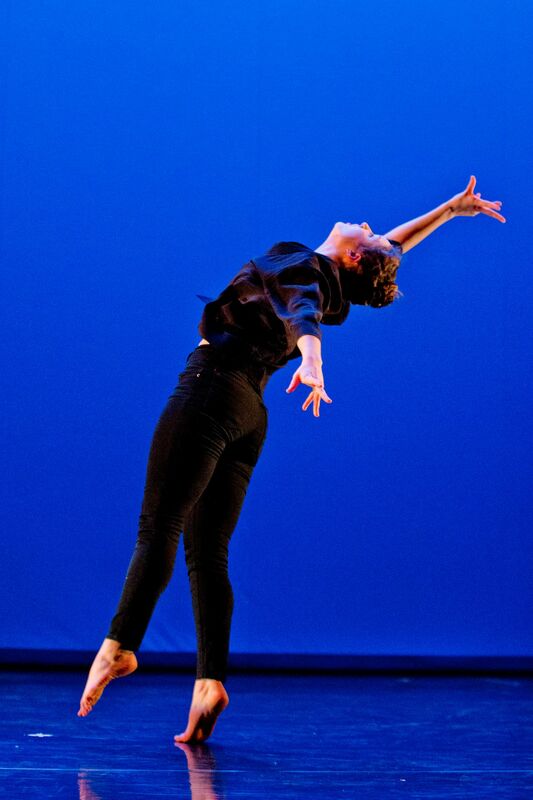 The Colby Dancers are directed by Annie Kloppenberg, assistant professor of theater and dance at Colby College. She founded and co-curates Moving Target Boston, and teaches and performs nationally with the improvisational ensemble Like You Mean It. Laura Peterson is a New York City-based dance artist and choreographer. Her work “Forever” was recently performed at the John F. Kennedy Center for the Performing Arts in Washington, D.C.
indiedanceworks is a Portland-based company, established in 2009 by Susan Thompson-Brown and Lisa Quijano Wolfinger, that has performed throughout Maine and New England. Portland Youth Dance is a nonprofit serving Greater Portland by providing a preprofessional dance company and outreach programs for kids and teens. Admission to F.A.B. is $15 for the general public and $12 for seniors, plus a small fee for credit card purchases, available from the Franco Center at bit.ly/FAB16. The student admission fee is $5, cash at the door only. For more information, please call 207-689-2000.